BINBROOK, Ont. 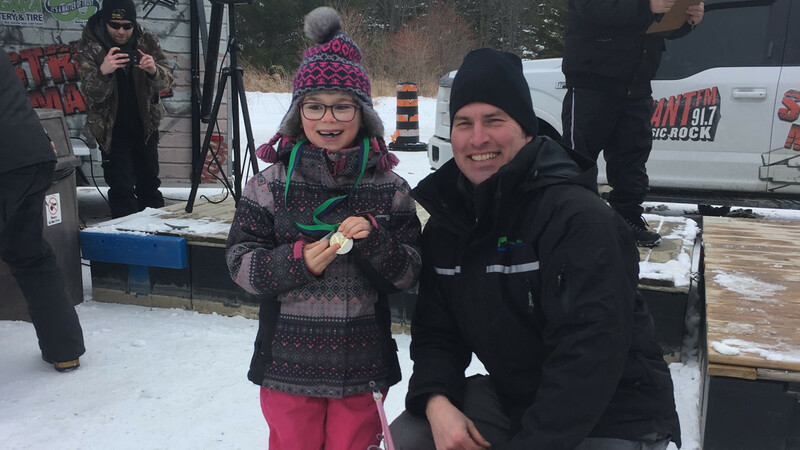 (February 6, 2019) – The Niagara Peninsula Conservation Authority’s (NPCA) Binbrook Conservation Area was pleased to host hundreds of local families, community partners, and avid anglers at the annual Binbrook Hard Water Crappie Derby this past Saturday. This year’s event featured two key partners whose support made the Derby an even greater success. Kids Out Fishing (KOF); a volunteer ran, not-for-profit organization with a mission to teach the sport of ice fishing to youth, aspiring anglers, or families who had never fished before, was on site offering short seminars and fishing clinics. A BBQ lunch was provided by the Glanbrook Conservation Committee (GCC), with all proceeds benefitting the organization. “We were pleased to provide volunteer assistance in weighing fish, as well as running the food concession stand, where more than $250 dollars were raised towards future conservation efforts,” added Brett Harrington, GCC Chairman. From the maintenance of Binbrook’s hiking trails, to a large aquatic planting program, and an extensive tree planting initiative, GCC’s projects have played a major role in the conservation of the area. Children and adults alike enjoyed the day, despite below freezing temperatures. With a lineup of impressive prizes, guests were eager to finalize the event with a short award ceremony to celebrate those who were successful in reeling in the heaviest crappies. For more information on Binbrook Conservation Area, visit www.npca.ca/parks/binbrook.